Nudifalls is one of our favorite Lembeh Strait dive sites, not only does it deliver great muck diving but it also features a wall, rubble and beautiful soft corals. 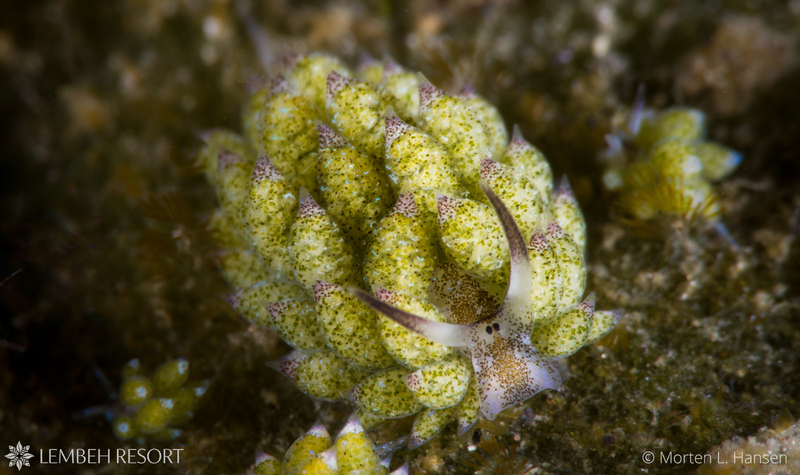 The site is located on the mainland side of the Lembeh Strait and, as it’s name suggests, it’s an incredible site for nudibranch sightings. 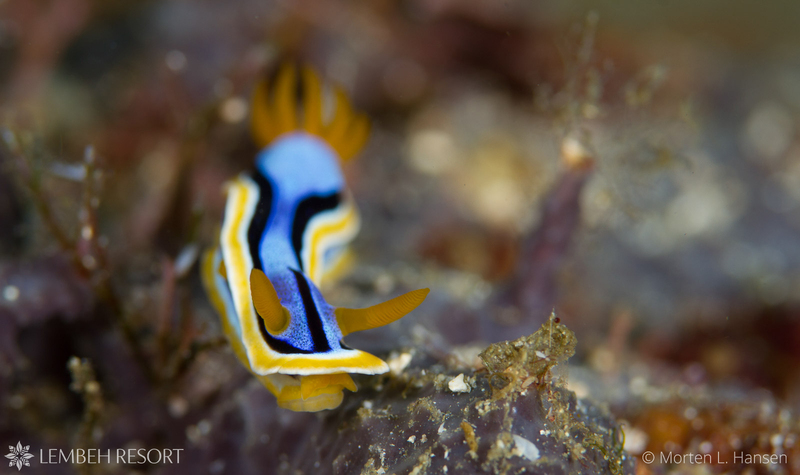 The name is said to come from there being so many nudibranch here they would fall from wall and land on divers! 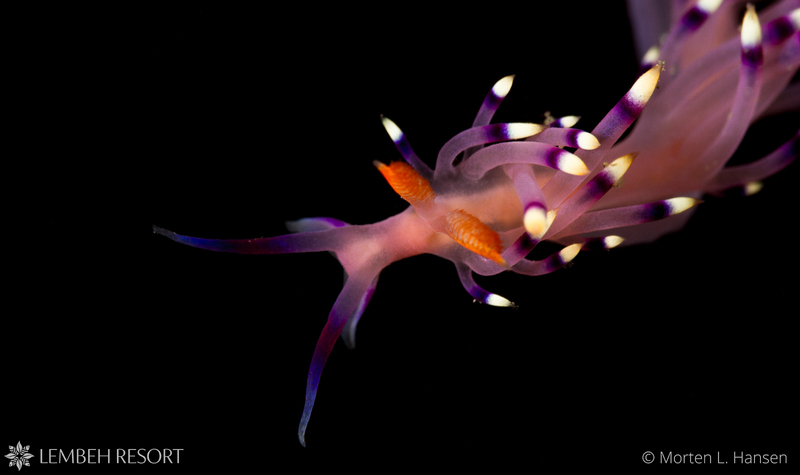 The nudibranch found here vary from season to season but they are found in abundance all year round. Entry to the site is close to the bank of the Strait over a sloping rubble patch. As soon as you enter the water the fun begins! Look out for ribbon eels, mantis shrimps and of course nudibranch as we make our way down the slope to the deeper soft coral garden. 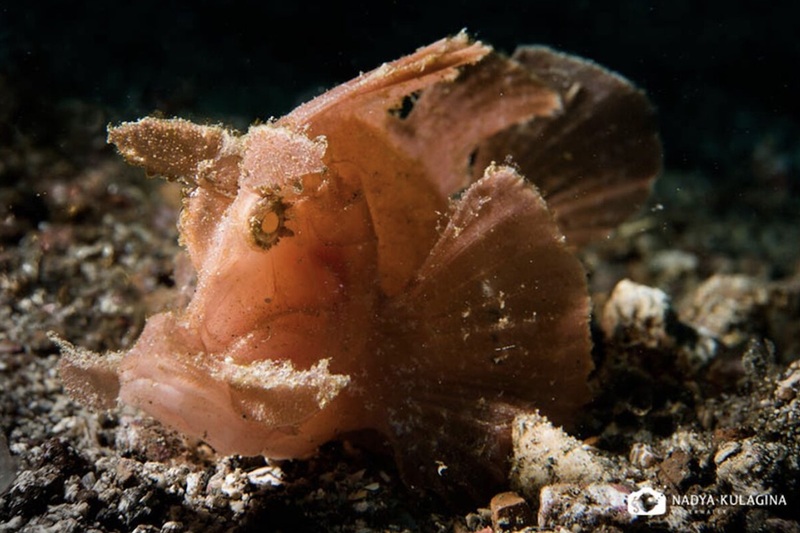 Among the soft corals it’s possible to find beautiful allied cowries, soft coral crabs and this is where we often find the rhinopias scorpionfish. As we make our way back up towards the base of the wall there are patches of anemones which are home to colonies of anemonefish and the endemic Banggai cardinalfish. The lower parts of the wall display some impressive gorgonian fans which are often occupied by bargibanti pygmy seahorses. As we make our way along the wall don’t be surprised to find a giant frogfish or two peering out at you! Nudifalls is certainly home to a lot more than just nudibranch! 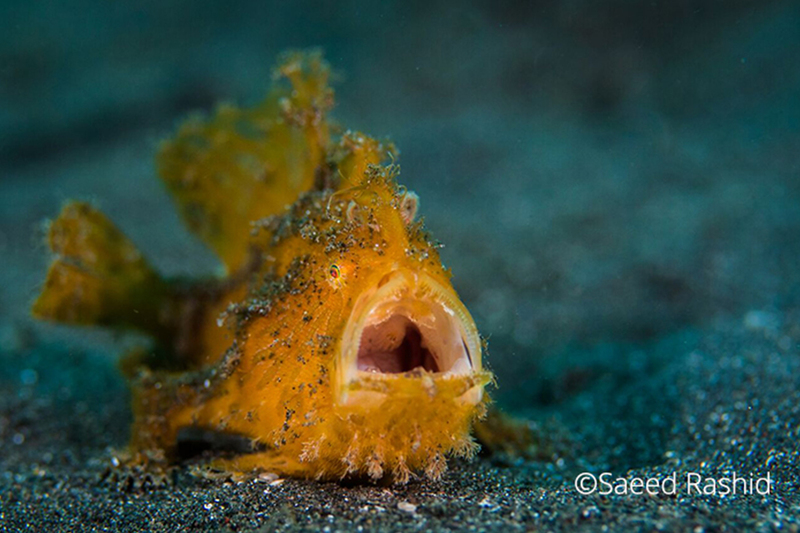 Other notable critters that you can find here include: Blue ring octopus, flasher wrasse, wunderpus, flamboyant cuttlefish, pygmy cuttlefish, a variety of ghost pipefish species, pegasus, flying gurnards, the Lembeh seadragon and a huge array of crustaceans and gobies. The list is endless! The end of the dive is in the shallows where we make our safety stop – be sure to look up – the sunlight coming through the tree canopy above is beautiful and makes for some excellent photography opportunities. Nudifalls also offers spectacular night diving for those who want to see some of Lembeh’s most iconic critters – especially cephalopods and crustaceans. Due to Nudifalls’ location in the Strait there can be current here. Our expert team of Dive Guides have been diving the site for many years and will advise you of the best time to dive during your stay. We hope you enjoy this site as much as we do and we look forward to sharing it with you soon.